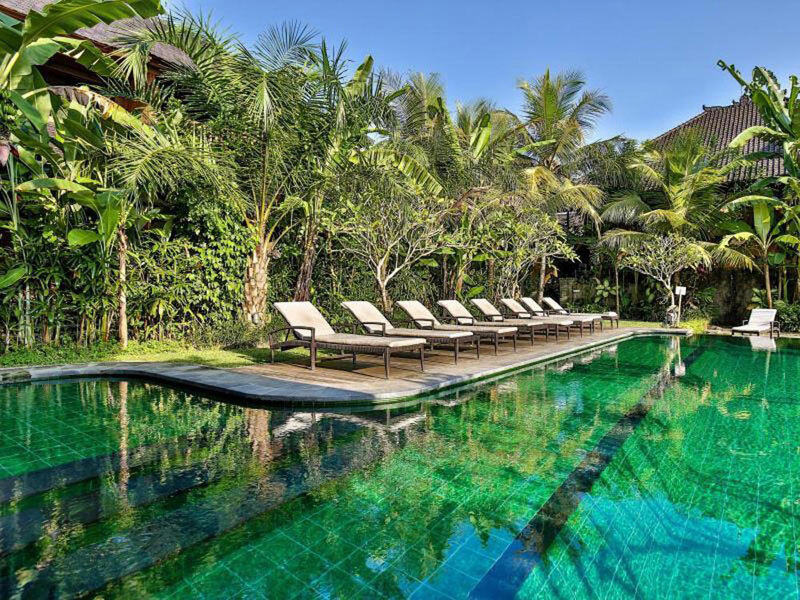 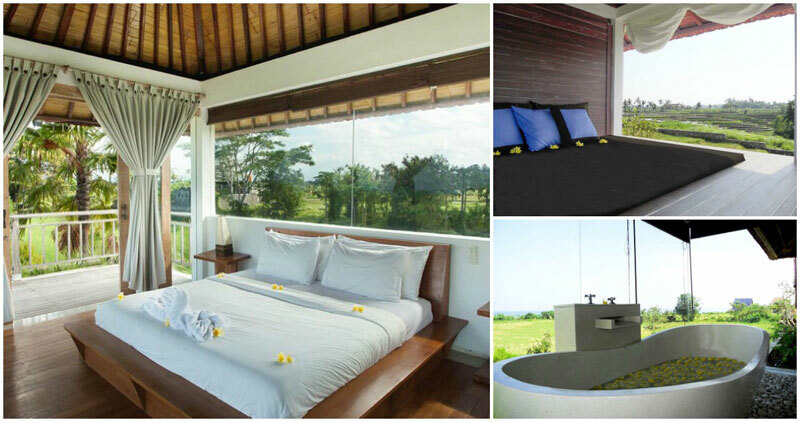 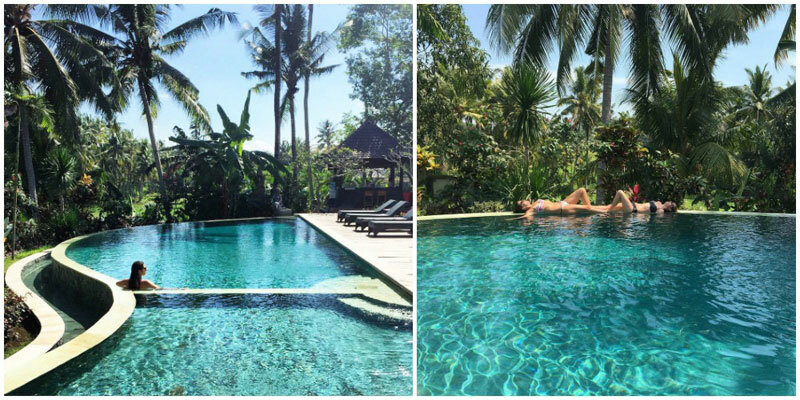 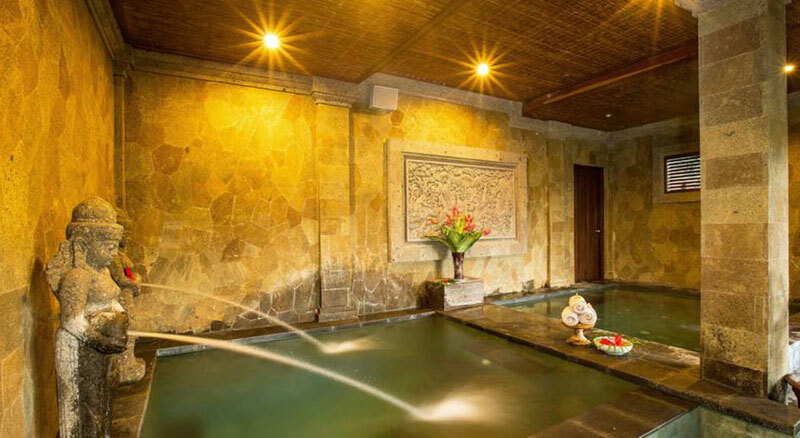 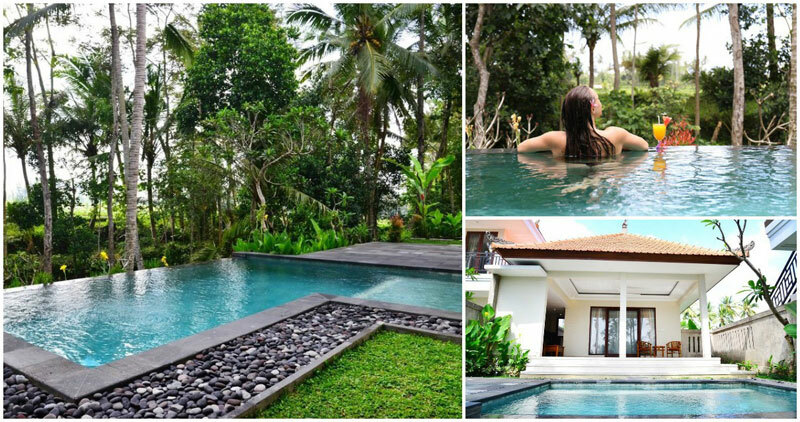 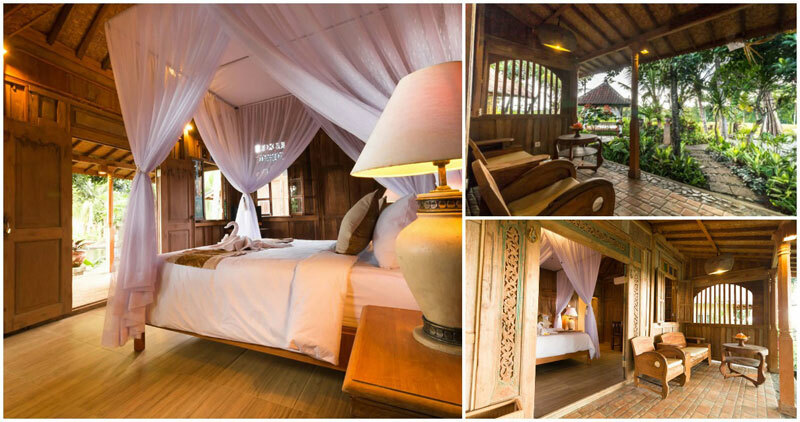 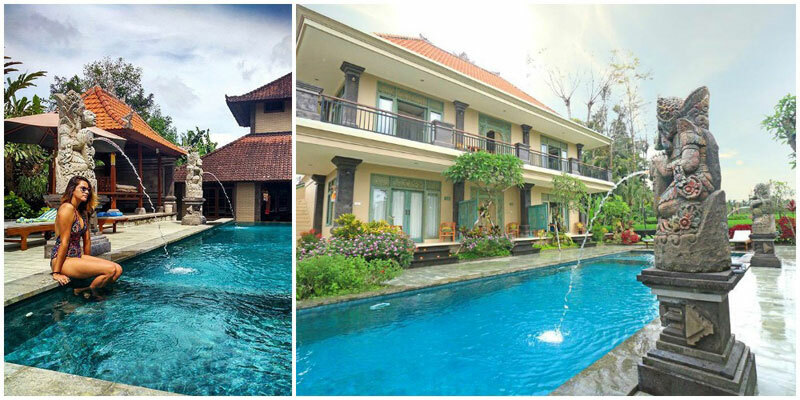 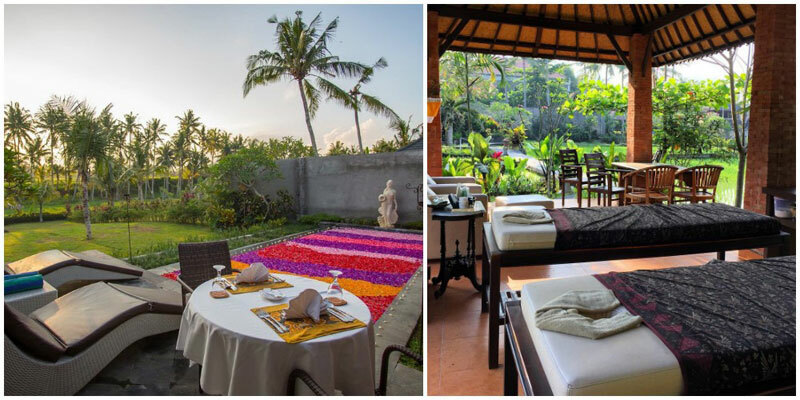 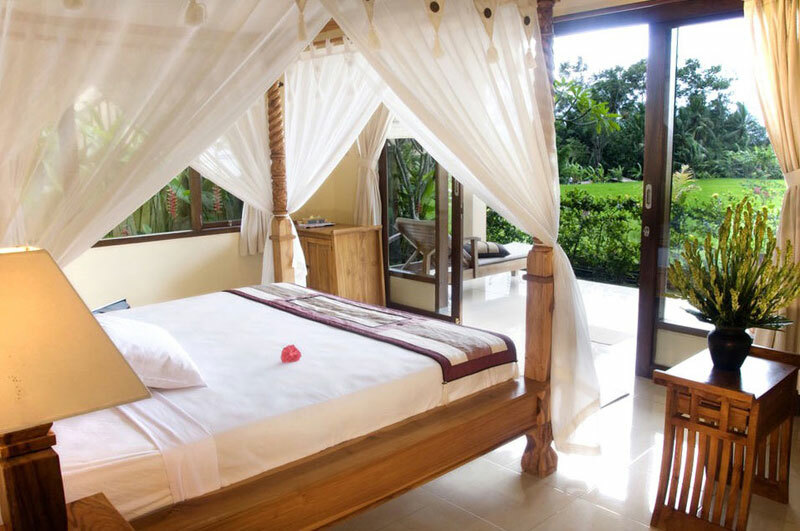 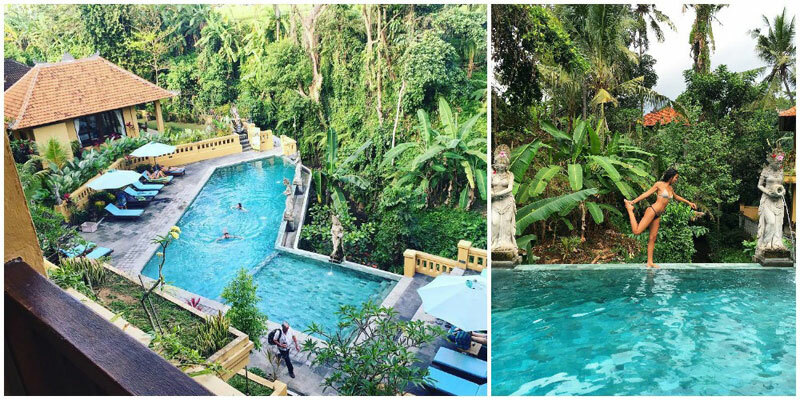 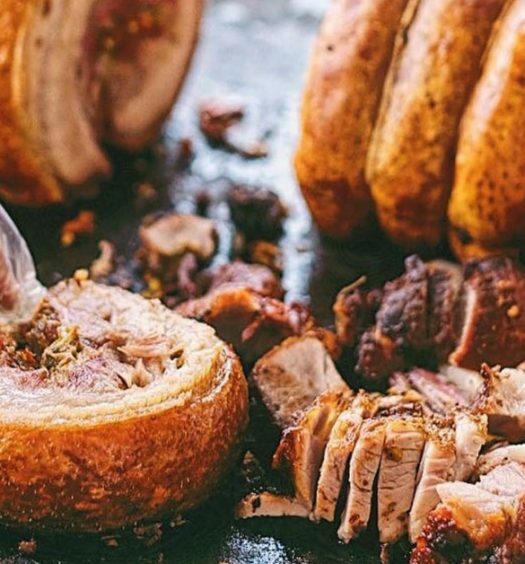 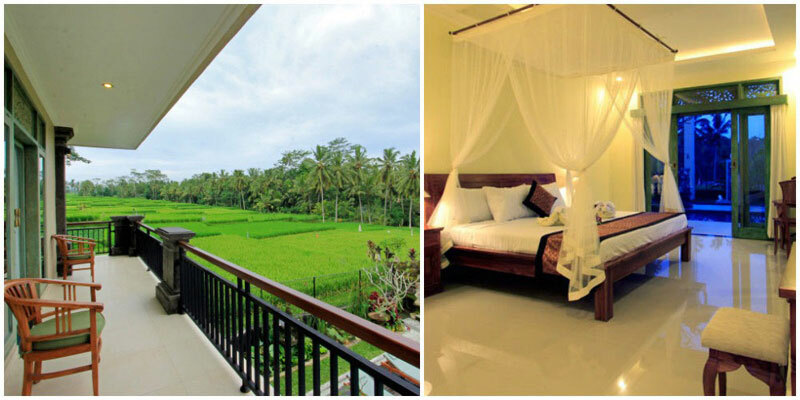 Have you always wanted to experience what people call ‘the real Bali’? 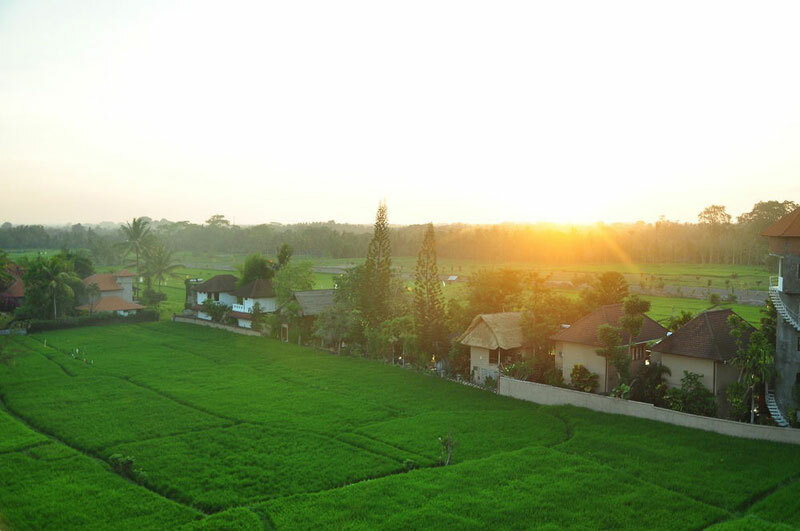 Not the hipster-cafe-lined streets of Seminyak, nor the rowdy overcrowded beaches of Kuta, but the vast expanse of green paddies, neatly assembled into organised tufts by farmers who toil in the fields day and night. 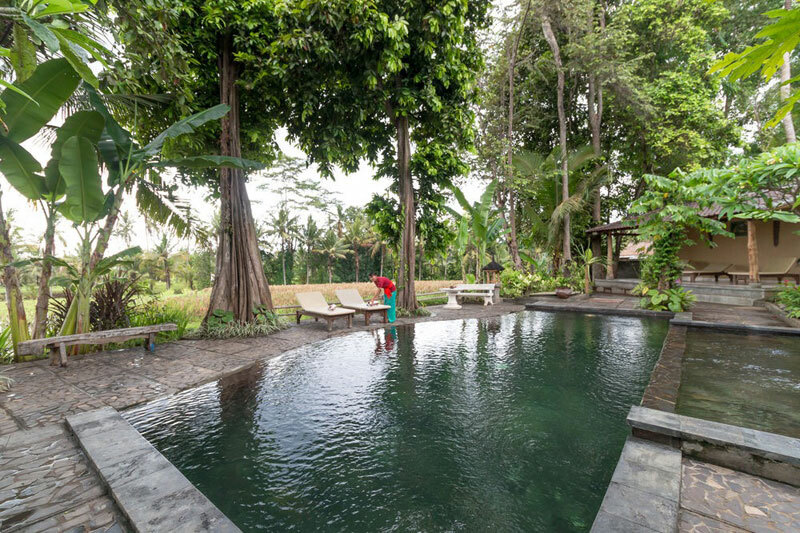 This is where time stands still, where villagers are still woken up by the rooster’s crow every morning, and where village children chase one another in the laughter-filled dirt streets. 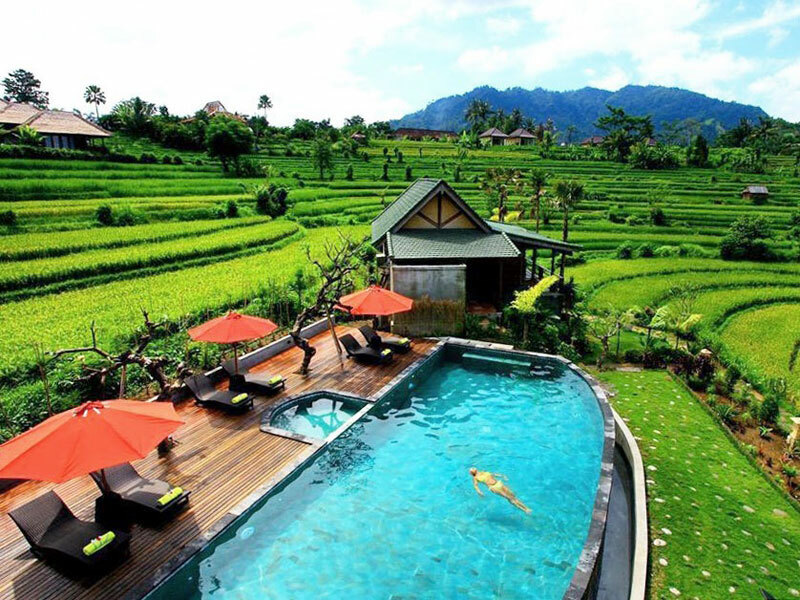 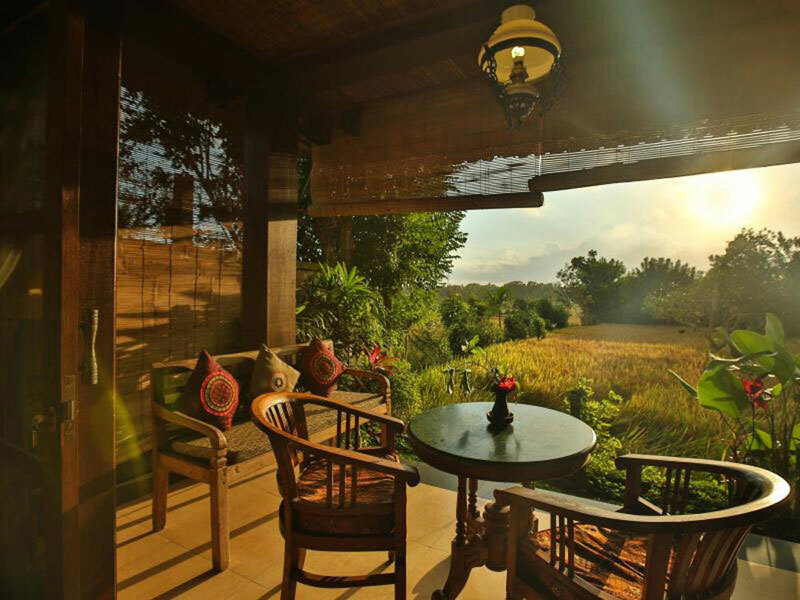 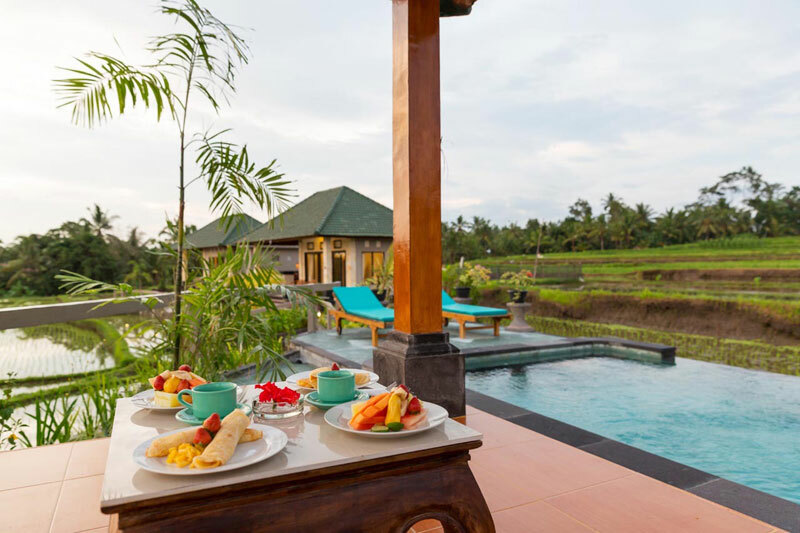 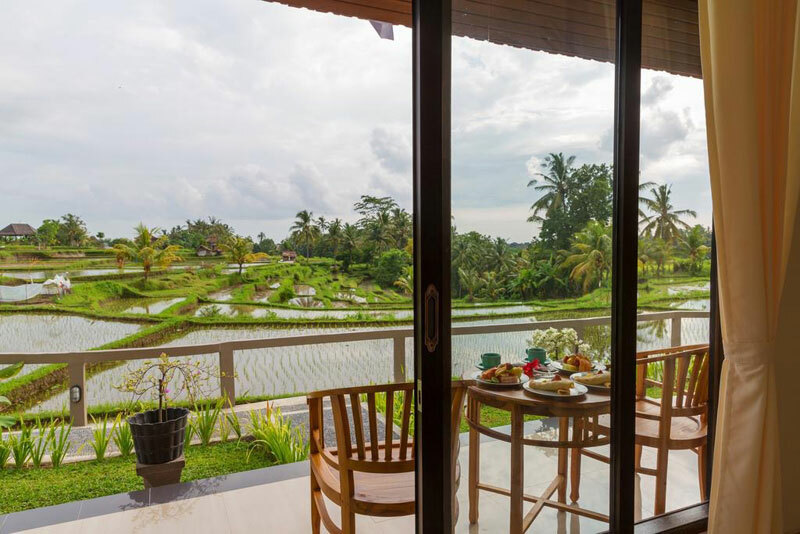 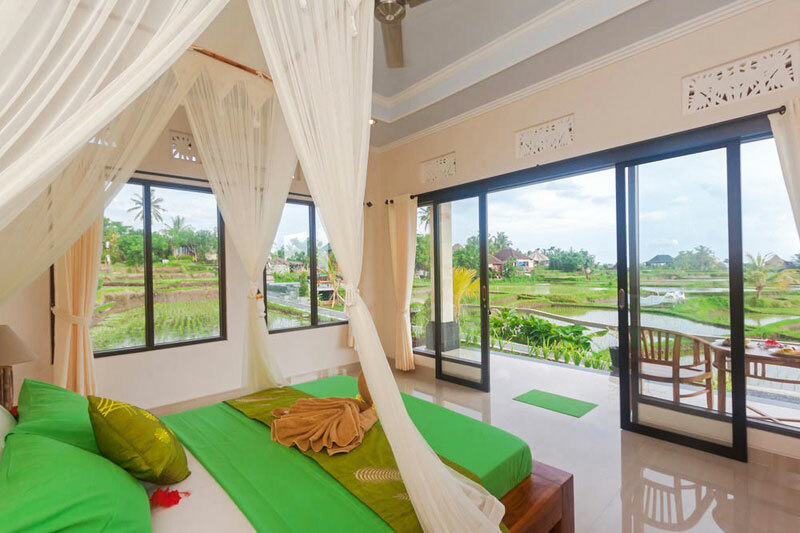 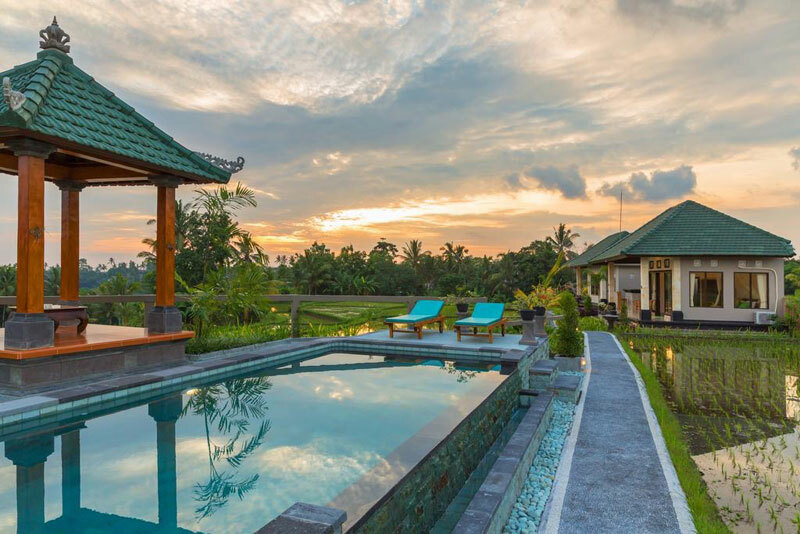 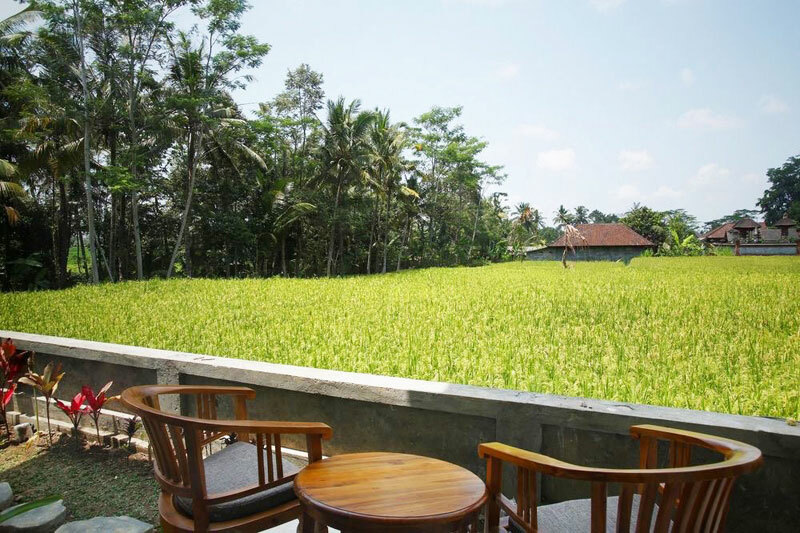 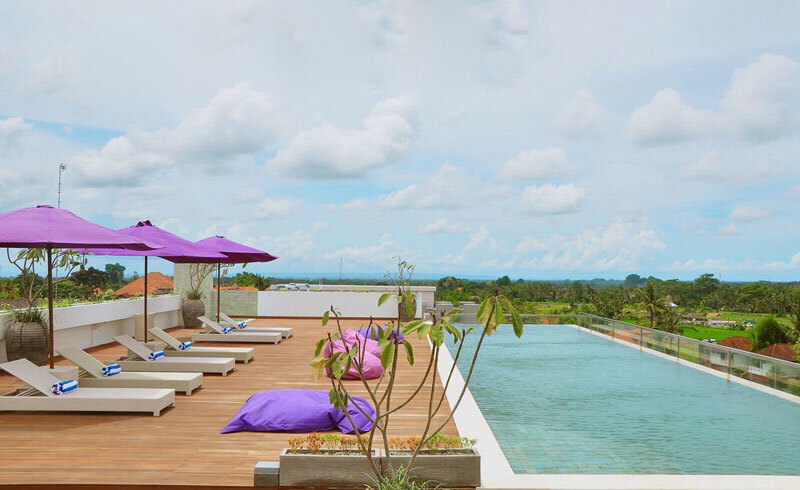 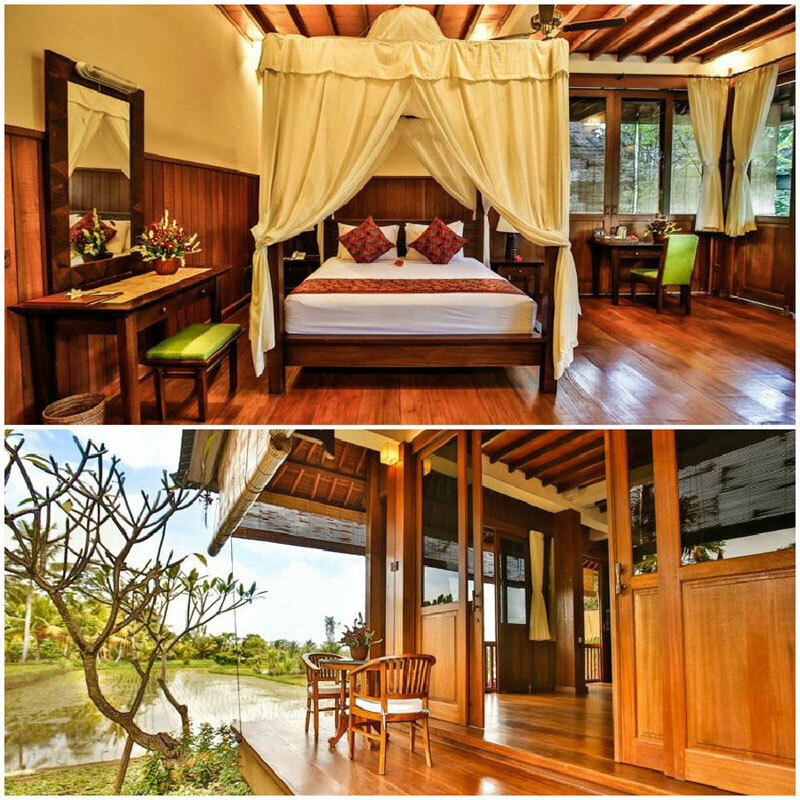 And you can actually do so at affordable prices – here, we’ve found these hidden gems where you can enjoy peaceful views of the paddy fields from your room, without having to pay an arm and a leg. 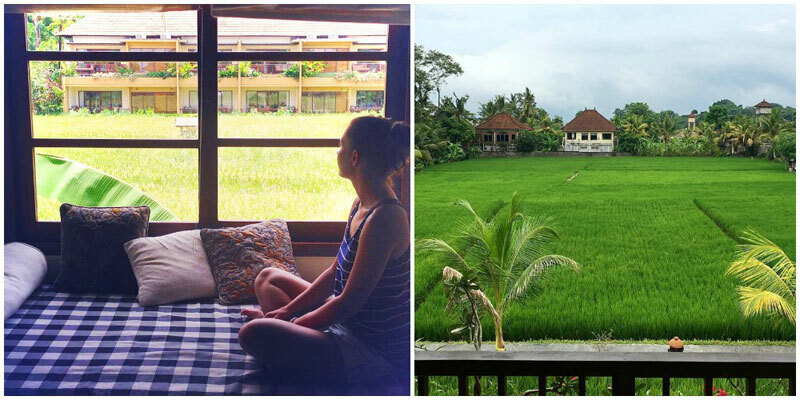 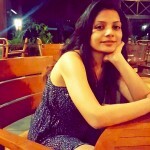 Editor’s Note: Don’t we all love to find peace and quiet in the paddy fields? 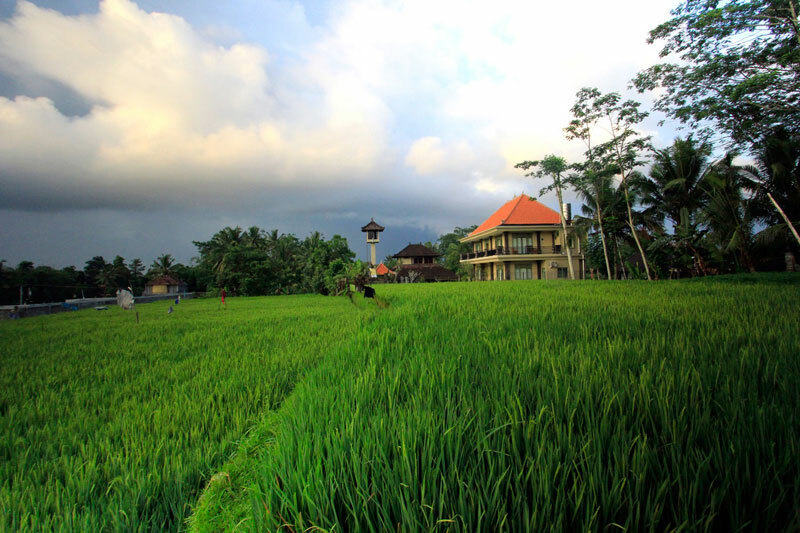 Building too many luxury villas in the middle of the paddy fields may actually cause locals to have to give up their land and livelihood of rice production. 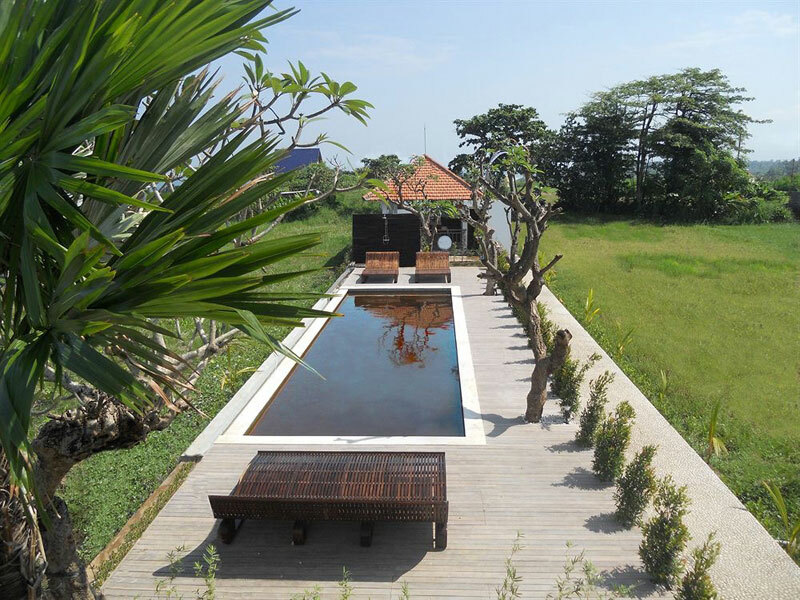 Water is channelled to bathtubs instead of irrigation. 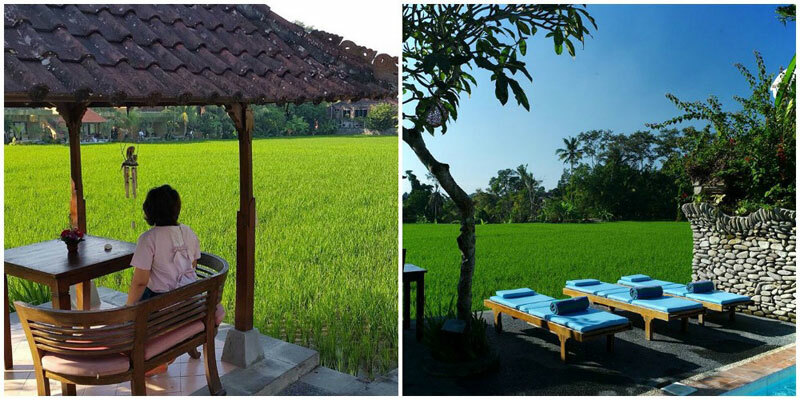 Paddy fields might actually be increasingly replaced by luxury property. 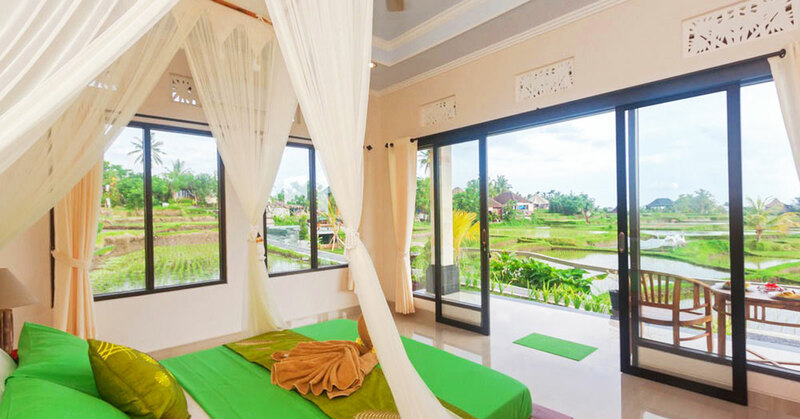 So as we set out to find a suitable accommodation for our holiday, let’s do our best to opt for local homestays and guesthouses as they usually have modest use of water and are built using sustainable materials. 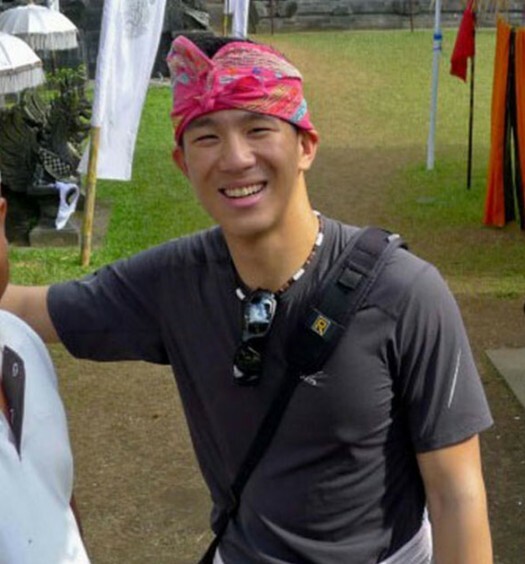 We are also giving back to the local community at the same time. 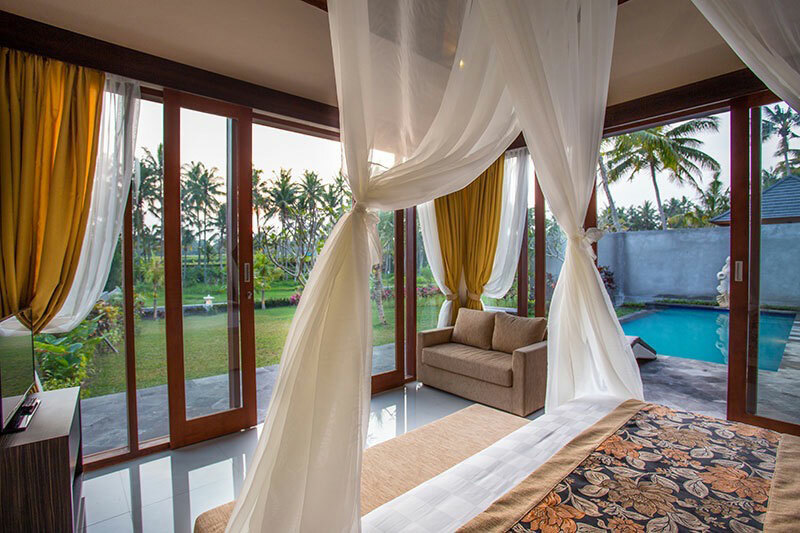 This private one-bedroom villa is to die for! 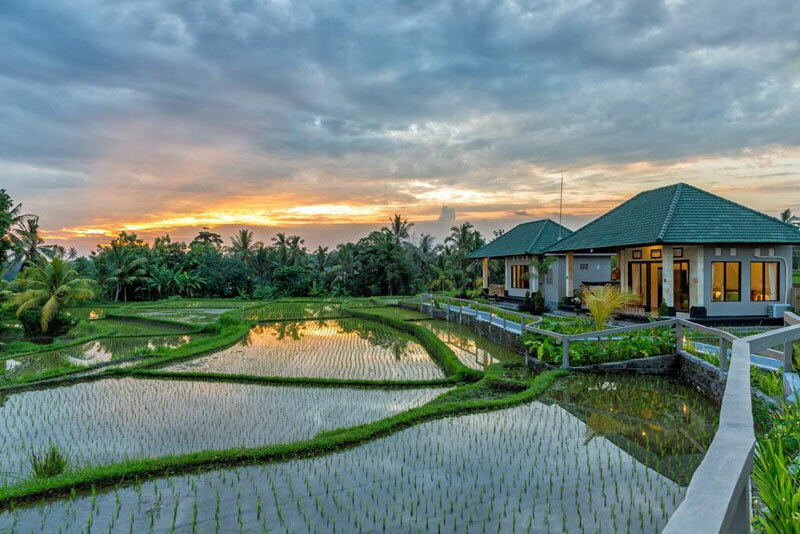 Wake up in the middle of freshly ploughed rice fields with a rooster crowing in the background and witness the rising sun break through the clouds.